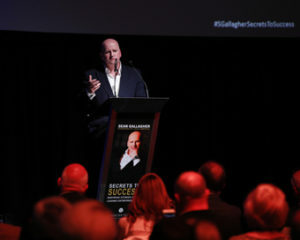 Sean Gallagher’s Book ‘SECRETS TO SUCCESS Inspiring Stories From Leading Entrepreneurs’ was recently launched by Heather Humphries, T.D., Minister for Business, Enterprise and Innovation at The Mansion House, Dublin. Honest and insightful, Sean’s first book is packed full of great advice and real-life insights, shared by the entrepreneurs themselves, about their experience from start-up to success. The book is a result of interviews with business owners for Sean’s weekly column in the Sunday Independent over the past 5 years. You will learn about their backgrounds, how they came up with their ‘killer’ business idea and how they developed a knack for turning obstacles into opportunities. There is a well-known saying in business that “If you want me to be great, you must first show me what great looks like”. These stories will show you what GREAT looks like. Bobby Kerr refers to it as “An honest insight into the highs and lows of true entrepreneurship… A wonderful read”. Anne Heraty says: “If you are thinking about starting a business or wondering how to take your existing business to the next level, then this book is an essential read…”. The two most important lessons evident from interviewing these entrepreneurs is that ‘No one ever starts a big business’ and that ‘You don’t have to be great to start a business but you do have to start, if you want to be great’. What is most apparent from all these stories is that – regardless of age, gender, financial or educational background, we all have within us the ability to achieve whatever we set our minds to. In short, we all have the potential to be successful. 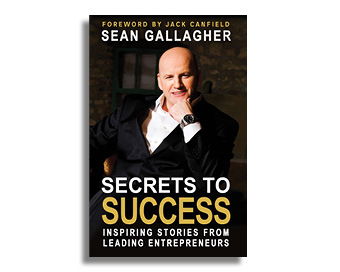 Author and entrepreneur Sean Gallagher will be speaking at this year’s WMB Annual Conference & Awards on October 8th.